John Deere marine engines are some of the most dependable, durable, and fuel efficient engines available. 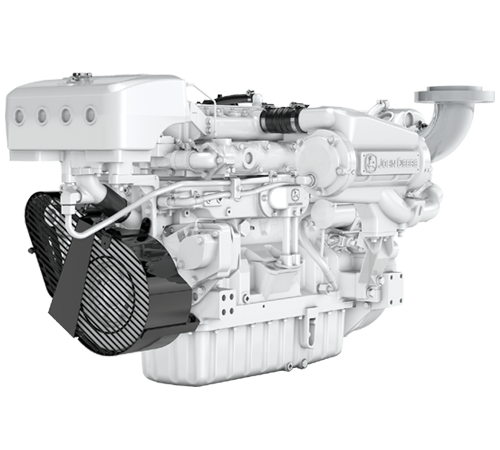 John Deere provides Tier 2 and 3 certified, marine engines in the range of 160 to 750 horsepower for use in new construction and repower applications. John Deere Marine engines are versatile for both commercial and recreational vessels and are available in either heat exchanger or keel cooling with 12 or 24 volt systems.